Ernesto Valverde and his technical staff have announced the players who will travel on the pre-season tour of the United States. 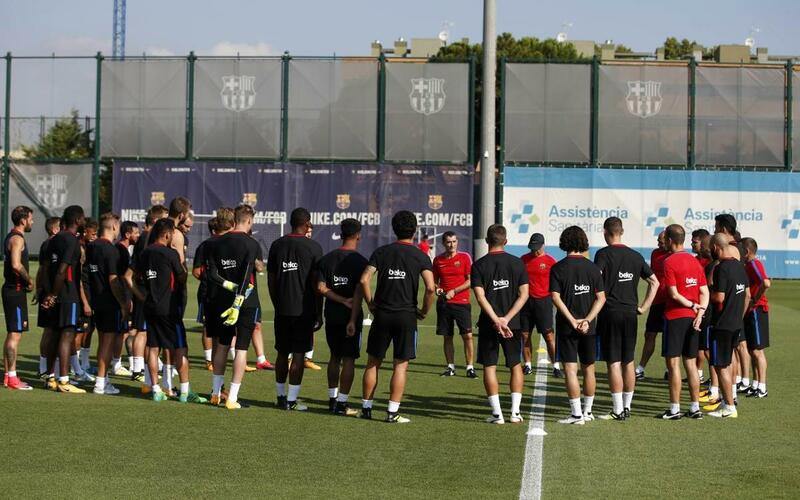 Those in the first-team that have trained for the first 10 sessions will all go, except Rafinha and Gerard Deulofeu who are still struggling with injury. Therefore, the list is as follows: Piqué, Rakitic, Sergio, Denis Suárez, Arda, A. Iniesta, Suárez, Messi, Neymar Jr., Cillessen, Mascherano, Paco Alcácer, Jordi Alba, Digne, S. Roberto, Aleix Vidal, Umtiti, Semedo, Marlon, Douglas, Samper, Vermaelen, Munir, Ortolá, Jokin, Ezkieta and Aleñá. The squad will take part in the International Champions Cup, a competition in which they face Juventus (July 22), Manchester United (July 26) and Real Madrid (July 29).